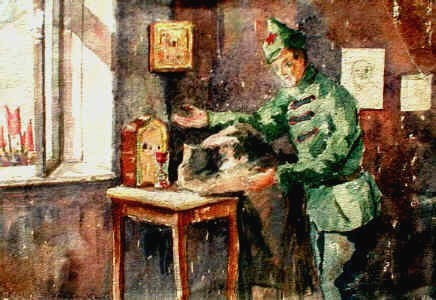 Born in Odessa (Ukraine) on June 8th, 1877. Active in Odessa. Died there on April 18th, 1942. 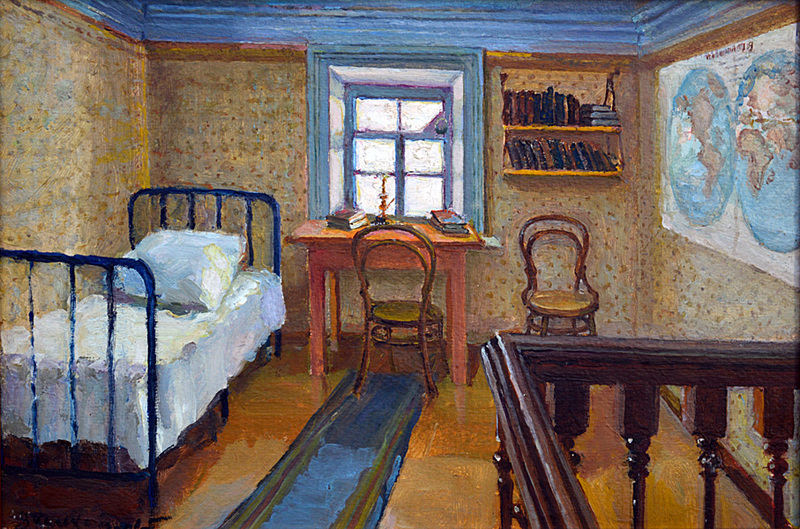 "Lenin's Room in Simbirsk 1878 to 1887", oil on canvas, 28 x 41 cm. "Soldiers of the Red Army", both oil on cardboard, 34.5 x 50 cm. 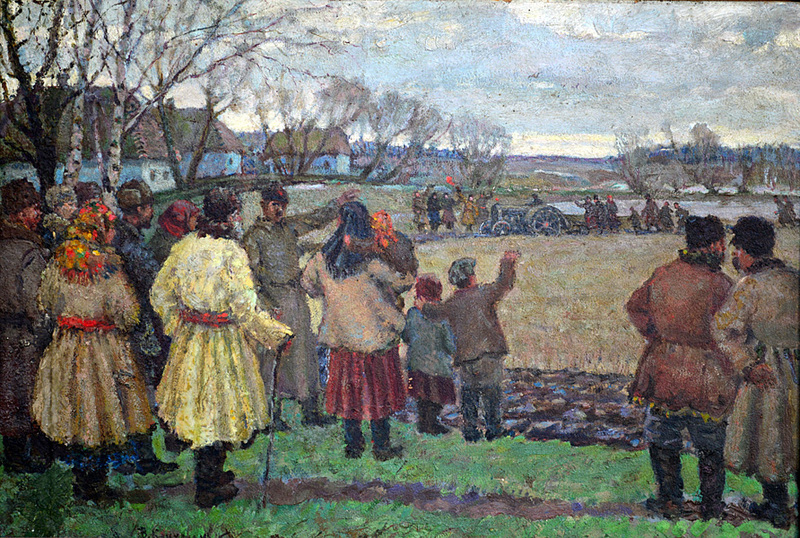 "The First Tractor", oil on cardboard, 40 x 25 cm. "Look outside, the world is red!". Water-colors on paper, 17 x 25 cm. "Farmer" and "On the Beach", oil on cardboard, 40.5 x 26 cm.